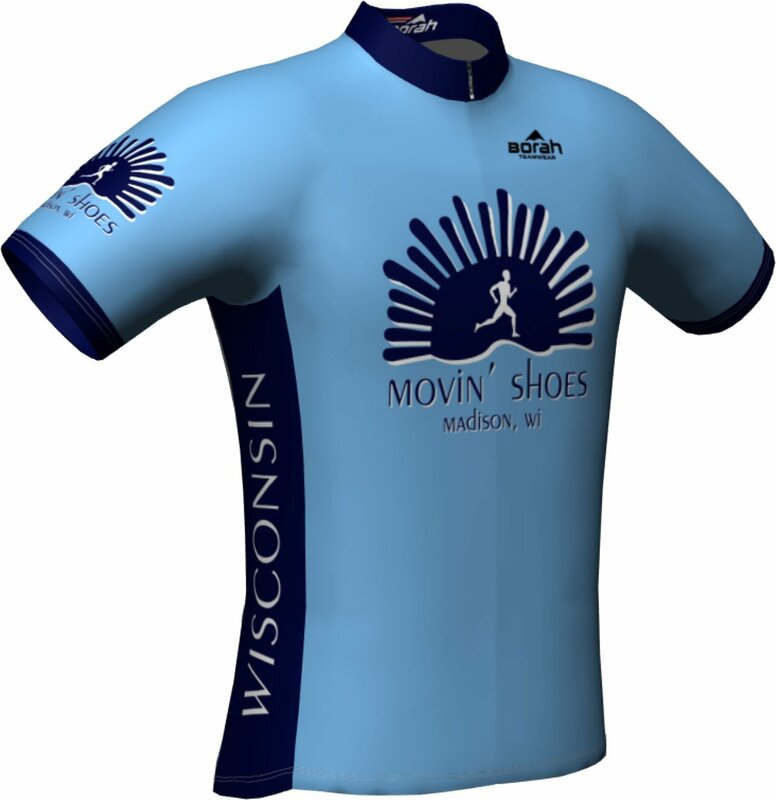 Movin’ Shoes cycling jerseys are available for pre-order today! They will be produced in both men’s and women’s cuts, and both short and long sleeve. The design will mirror the jerseys from the Movin’ Shoes Race Team, and will be manufactured by Borah Teamwear, a Southwestern Wisconsin based company. Borah produces 100 percent of their product line at their factory here in our home state, and nearly 50 percent of the company’s energy needs are provided through solar power. They pride themselves on recycling and incorporating as many green practices into their daily routine as possible. Deadline to order is Thursday February 22nd. Click one of the options below to pre-order online!